· Heat oil in a pan adds mustard seed, when start to spluttering adds fenugreek seed and sliced onion and sauté till onion is transparent. · Add ginger and garlic and fry few minutes. · Add chilli powder, curry leaves and sauté for a second, careful keep heat at low. 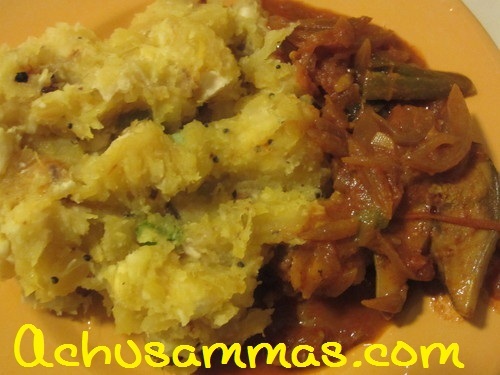 · Add soaked kudampuli with the water and salt. Allow it to boil, and add fish pieces. Close the lid and cook till fish is done. · Switch of flame and add little oil and curry leaves. Slurp,mouthwatering here..Wat a super tempting meen curry.. 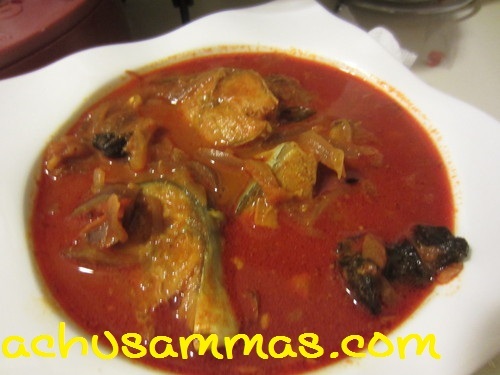 Delicious looking fish curry,sounds so yummy. This looks lovely. I have a coconut "hater" in my home so many curries are off limits. Tangy and delicious curry,love the combo..delicious. 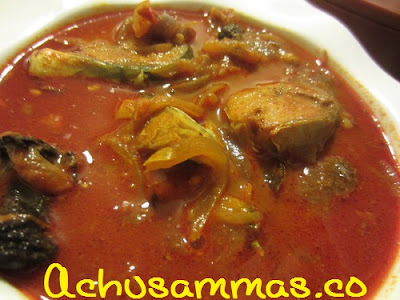 WOW I LOVE FISH CURRIES...THIS ONE LOOKS SO SIMPLE ....MUST TRY!! 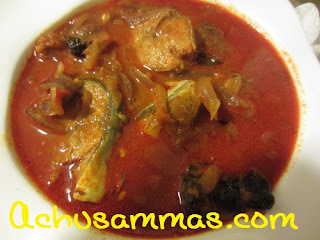 Very delicious n yummy meen curry , love this a lot with kappa!! !